Not North Sea tax again . . . WELCOME to the new-look Energy. We hope you like the wash and brush up that it has been taken through and we hope that it is even more readable than ever. If you disagree, then get in touch and we’ll see what can be done. We’re working on a major overhaul of our website too – it will feature more content and be easier to navigate. All things being equal, preparations for its relaunch should be completed in the next few weeks. Meanwhile, I really did not want to revisit North Sea taxation, even if Chancellor George Osborne has made one concession with more tweaks promised. But the very mean-spiritedness of that concession – one that basically amounts to nothing more than a £50million giveaway – coupled with the collapse in exploration and appraisal drilling, plus comments from Lloyds Banking Group and a report from the government cipher, the Office for Budget Responsibility (OBR), pointing to Britain going bust by 2060 unless we sort ourselves out once and for all, compels me to comment. Let’s start with the collapse in exploration and appraisal drilling, as reported by Energy last month, thanks to the excellent Hannon Westwood column by Simon Robertshaw. Indeed, because of Simon, we did rather pip Deloitte to the post when it came to reporting the dismal news. But both said the same basic thing: North Sea exploration and appraisal drilling is in trouble. And for those of you who don’t realise, there needs to be a sustained drilling effort to deliver the discoveries that we badly need to help stem the now fast decline in UK oil and gas output. That takes money, and since most of the drilling effort these days is made by smaller companies, the very ones most impacted by the 2011 North Sea tax rise, little wonder there has been a collapse. You don’t get it on the UK Continental Shelf, even if politicians like Mr Osborne promise it, because they then go and renege. Even bankers have noticed this one, you know, the guys who are blamed for wrecking the British economy and who today take us for everything they can get in bank charges and ridiculously high loan and overdraft interest rates. 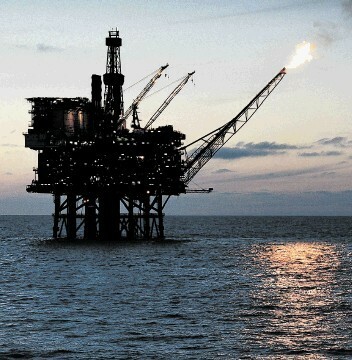 Andrew Moorfield, global head of oil and gas at Lloyds Banking Group, said a few days back that the UK North Sea had become a riskier bet than Egypt. That is despite this ancient North African country being in a state of social and political flux. I’m disappointed that Mr Moorfield took so long in getting around to saying this publicly. It’s been several months since the Budget, and others have already commented on the flight of oil and gas capital from Britain to other more stable places, or rather its acceleration. But his observation was neatly timed, insofar as it helped undermine the claim by Economic Secretary to the Treasury, Justine Greening MP, that BP’s decision to invest $4.8billion (£3million) in the redevelopment of the Schiehallion field west of Shetland was proof that “the North Sea basin remains an attractive area for significant levels of new investment”. In a way, Ms Greening is right. But the manner in which Osborne and Co. went about implementing the latest North Sea tax grab was breathtaking in its ineptitude. The funny thing is that one prominent North Sea oil company chief executive told me that Mr Osborne might just have got away with his additional 12% selective corporation tax increase, had he bothered to consult with the industry first and agreed concessions that would have subsequently encouraged companies not to batten down the hatches. Mr Moorfield pointed out quite correctly that the Norwegians have a far better system and that their model is being applied by emerging oil and gas nations such as Ghana. Mr Moorfield has also been savvy enough to cotton on to the mess that is decommissioning and criticised the Treasury’s current approach. And so to the OBR, with its observation that Britain will go bust by 2060 unless it sticks to tough austerity measures set down by the current government, which of course also created the OBR. This supposedly independent body has said that the rising cost of healthcare and pensions, coupled with declining tax revenues from the North Sea, means that future governments have got to take action to prevent debt levels from spiralling out of control. You bet they will have to. Moreover, the present bunch needs to do a lot more than they are to encourage the retention of businesses that are currently threatening to decamp headquarters to foreign lands to escape crippling taxes, and also to re-grow our industrial base. That includes fostering a meaningful renewables energy sector, one that doesn’t just generate electricity based on kit bought in from overseas, but which manufactures significant plant for export. If we don’t really get our collective finger out we really will go bust.